David Bennett is a Charleston native and graduate of Middleton High School. He holds a Bachelor of Science degree in Park Recreation and Tourism Management from Mars Hill College (in Mars Hill, NC), where he was recruited on a full athletic football scholarship. 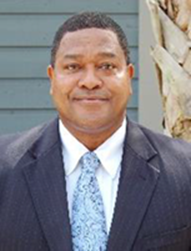 Bennett is a Nationally Certified Park and Recreation Professional whose career has spanned over 28 years with CCPRC. He served as chief operations officer with CCPRC since 2006, where his primary duties include overseeing day-to-day operations including personnel and executive administration management. Throughout his career, Bennett has been involved in a variety of professional and community organizations, serving on the following boards: the National Recreation and Park Association, the South Carolina Recreation and Park Association, the Cooper River Bridge Run, James Island Charter High School, the Charleston Area Children’s Garden Project, the Charleston Heritage Education Forum, the Charleston County Greenbelt Project’s Urban Grants Review Committee, Family Corps, the Bishop Gadsden Trustees and the Wallingford Presbyterian Church Trustees. He and his wife Cheryl are the proud parents of Austin (23), Dale (20) and Cydney (17), and two rescue dogs, Jack and Little Bear. He enjoys grilling outdoors, fishing, bowling and spending time with his family.